Toyota didn’t invent the hybrid car, but the Prius certainly established the hybrid gasoline-electric car market in the United States. It was the first mass-produced hybrid sold in the US when it debuted here as a 2001 model. Since then, Prius has been through four generations of development and has spun off several variants, including Prius c, Prius v, and Prius Prime. The 2018 Toyota Prius is a fourth-generation model, a five-door, five-passenger liftback with front-wheel drive. 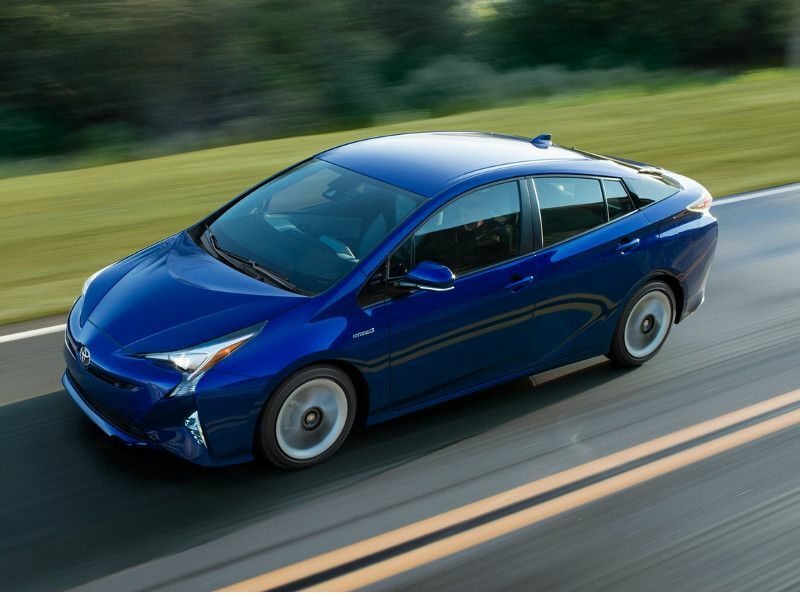 Seven trim levels of Prius are available this model year: One (starting at $23,475), Two (starting at $24,685), Two Eco (starting at $25,165), Three (starting at $26,735), Three Touring (starting at $28,115), Four (starting at $29,685), and Four Touring (starting at $30,565). Though Prius has dominated the gasoline-electric hybrid passenger car market for almost two decades, US sales in 2017 slumped to their lowest levels since 2004 with a total of 65,631 units sold, far off-peak sales in 2007 of 181,221. Part of the slump can be attributed to shifting tastes and buying patterns, and part to the rising tide of competitive hybrid vehicles available for lease and purchase. Here are 10 Competitors for the 2018 Toyota Prius, presented in alphabetical order by brand. If there’s one category that deters buyers from selecting a Prius for their next car it’s usually performance. 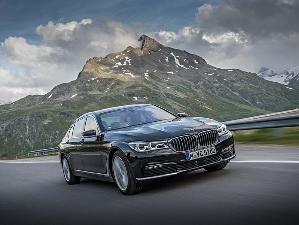 The 2018 BMW 330e iPerformance addresses this issue by equipping its plug-in hybrid 3-series sedan with a potent 248 horsepower powertrain that uses both a 2.0-liter twin-turbo four-cylinder gasoline engine and an 87-hp electric motor. 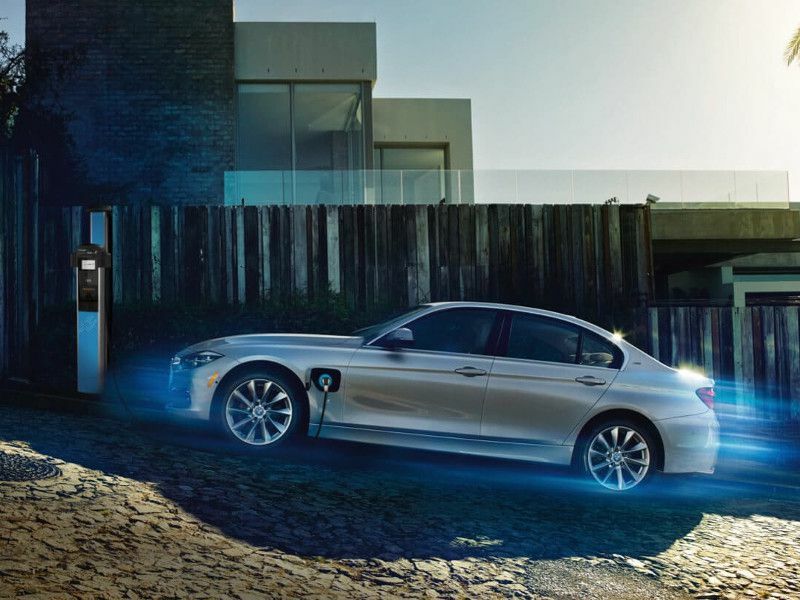 Not only is the 330e stingy on fuel (71 MPGe combined), it is also capable of running from 0-60 mph in 5.9 seconds up to a top speed of 130 mph, all the while handling like a BMW. Starting at $45,600, it is definitely in the premium category, but it comes close to the promise of having your cake and eating it, too. 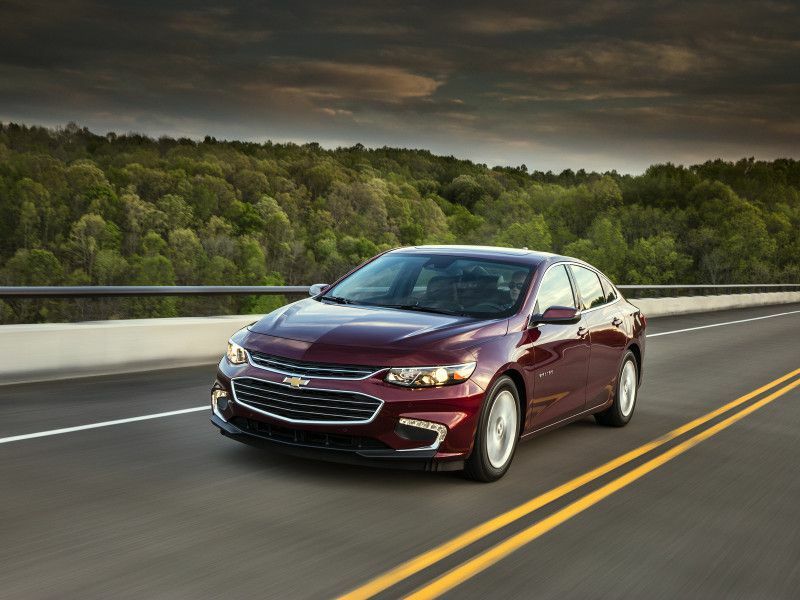 The popular compact Malibu sedan is available with a gasoline-electric hybrid propulsion system in the 2018 Chevrolet Malibu Hybrid, starting at $28,795. This unassuming sedan doesn’t make a big deal out of its hybrid capability, blending into the crowd with just a few exterior badges. It comes with a 1.8-liter four-cylinder gasoline engine (122 hp), twin electric motors (182 hp total), front-wheel drive and EPA estimates of 49 mpg city/43 mpg highway. Flashier than its stablemate Malibu Hybrid, the second-generation Chevrolet Volt comes into 2018 with fastback four-door styling and a very loyal following for its plug-in gasoline-hybrid powertrain. 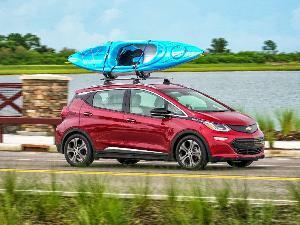 Starting at $34,095, the Volt can boast up to 53 miles of pure-electric range on a full charge. The low-slung five-door liftback Volt is rated to achieve 42 mpg combined by the EPA from its hybrid powertrain (1.5-liter direct-injection four-cylinder gasoline “range extender” generator engine and 149-hp electric motor), and 106 MPGe from its electric motor. Front-wheel drive is the standard drivetrain, and regular unleaded gasoline is the recommended fuel. 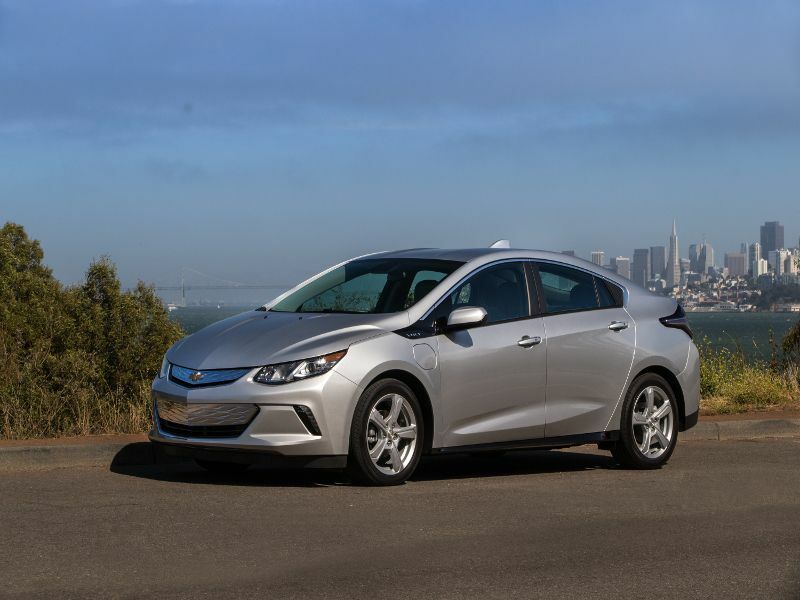 The Volt can be fully-charged from “empty” in about 4.5 hours with a 240-volt charging unit, or about twice that on standard household current. The 2018 Ford C-Max Hybrid SE starts at just $24,120, putting it in between Prius One and Two on the price scale. The C-Max is a five-door compact hatchback with a surprisingly roomy cabin and cargo hold with comfortable seating for five and 24.5 cubic feet of luggage space behind the second row. 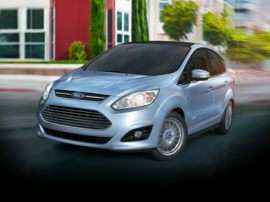 A more luxuriously equipped C-Max Hybrid Titanium starts at $27,275, right between the Prius Three and Three Touring. That’s certainly no accident, as C-Max is aimed directly at the same buyers that Prius has corralled over the years. Using the Atkinson cycle to manage power from the 2.0-liter inline four-cylinder gasoline engine and single electric motor with lithium-ion batteries, C-Max Hybrid is rated to achieve 40 mpg combined. Ford’s expanding portfolio of hybrid vehicles now includes the 2018 Ford Fusion Hybrid SE, starting at $26,340. 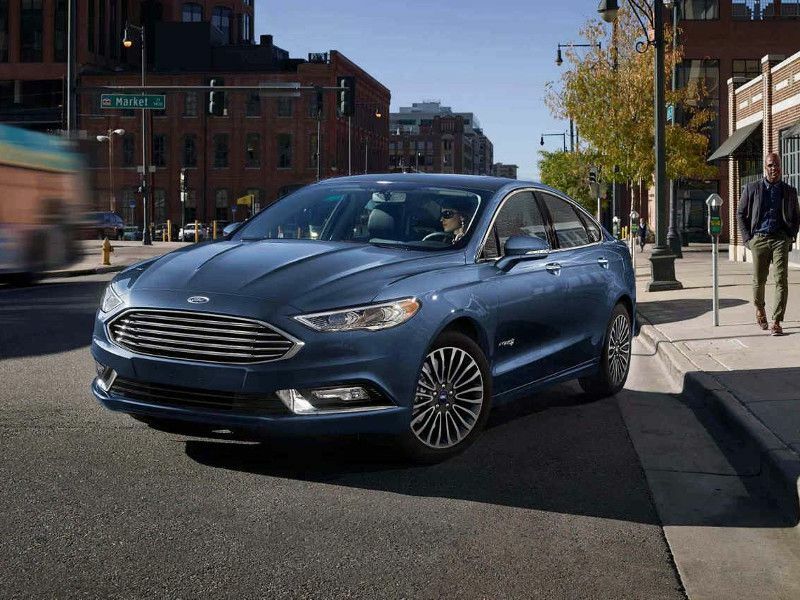 A compact sedan with a 12-cubic-foot trunk, the Fusion Hybrid seats five in comfort and style. The Fusion’s exterior design has been highly praised, especially its Aston Martin-like front end and grille. 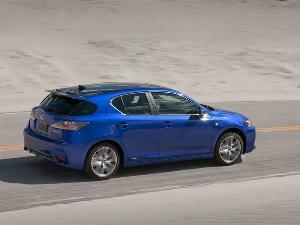 It also delivers a sporty, controlled driving experience, with good handling and a well-tuned suspension. Power comes from a 2.0-liter four-cylinder direct gasoline injection engine (141 hp) and an electric motor with a 1.4-kWh lithium-ion battery pack. The EPA rates the Fusion Hybrid to achieve 42 mpg combined. A Hybrid S model starts at $25,390, and a Hybrid Titanium model is available starting at $30,870. Accord got a much-awarded makeover for 2018. 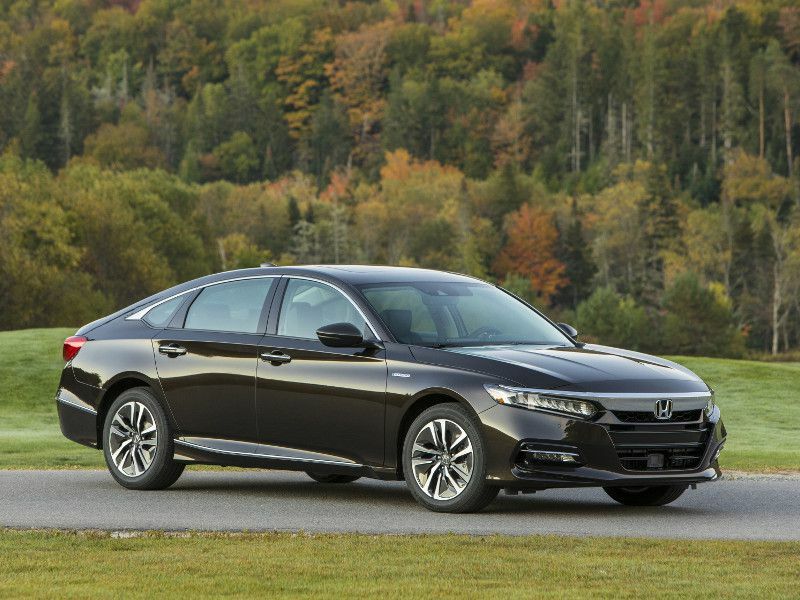 The new 2018 Honda Accord lineup offers a hybrid gasoline-electric powertrain on every trim level except Sport. 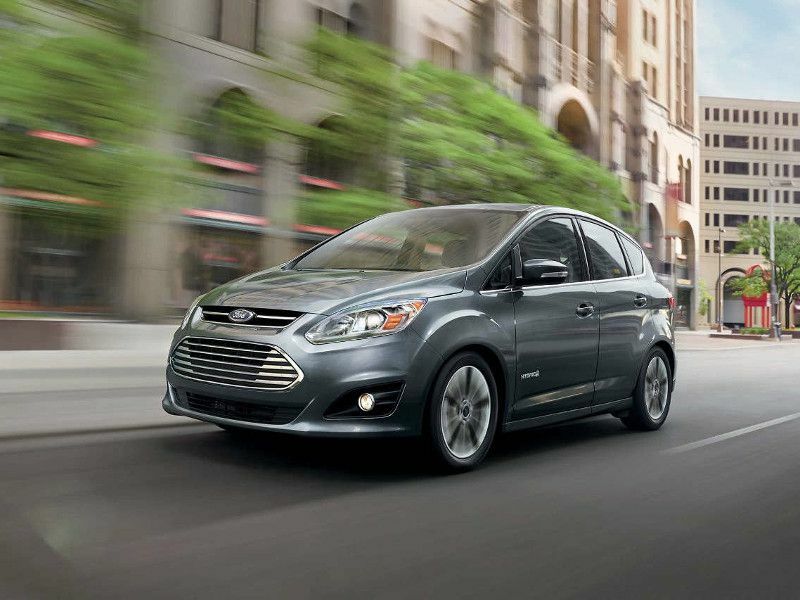 The base LX Hybrid starts at $25,100, just $1,530 more than the gasoline-only LX. The same step takes you from gasoline-only to hybrid gasoline-electric all the way up the lineup, including the top of the line Touring ($33,800 gasoline-only/$34,710 hybrid). The powertrain of the hybrid is a new 2.0-liter turbocharged four-cylinder with a two-motor hybrid system, front-wheel drive and a continuously variable automatic transmission (CVT) with a total system horsepower rating of 212 and EPA combined fuel economy rating of 47 mpg. Hyundai has its own Prius competitor, the 2018 Hyundai Ioniq. Taking a page from the Prius playbook, Ioniq is a five-door liftback with sleek futuristic styling. 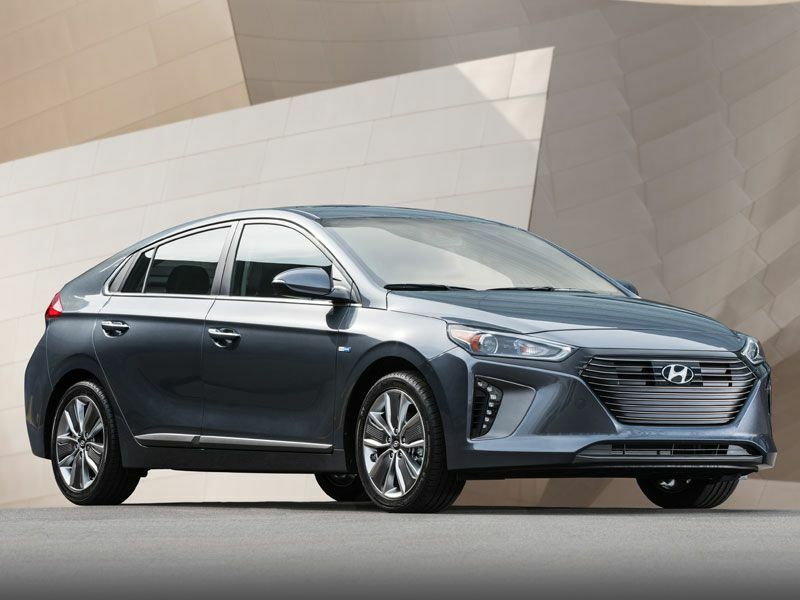 Hyundai claims that Ioniq is the “most fuel-efficient car in America,” based on EPA fuel-economy ratings of 57 mpg city/59 mpg highway/58 mpg combined for the Blue trim level (starting at $22,200). A very slippery 0.24 coefficient of drag helps a lot with that, and a six-speed dual clutch automatic transmission helps Ionic feel much livelier than the average hybrid. A 104-hp 1.6-liter inline four-cylinder gasoline engine works in concert with an electric motor with a lithium-ion battery to deliver 139 combined system horsepower. Front-wheel drive is standard. 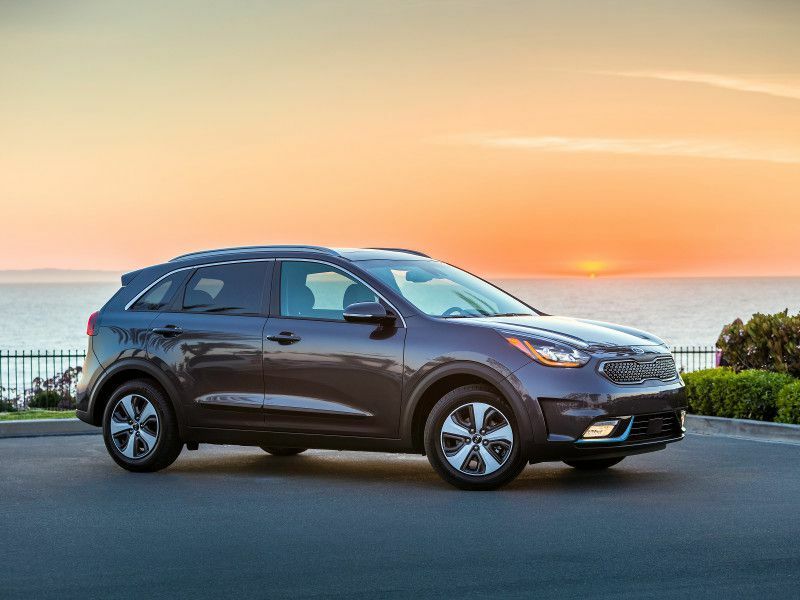 The 2018 Kia Niro is a hybrid compact crossover vehicle, which in another age and time might have been called a “hatchback.” The tall cabin gives it an airier feeling than the competitive Prius, and Kia’s amazing design department has managed to turn out another attractive, unique-looking vehicle that stands out in a crowd. Niro is available in four trim levels: FE (starting at $23,340), LX (starting at $23,650), EX (starting at $26,150), and Touring (starting at $32,000). FE tops the lineup in terms of fuel economy, with a combined rating of 50 mpg granted by the EPA. All trim levels get a 1.6-liter four-cylinder gasoline engine with gasoline direct injection and a full parallel hybrid system and combined system horsepower of 139 with front-wheel drive. 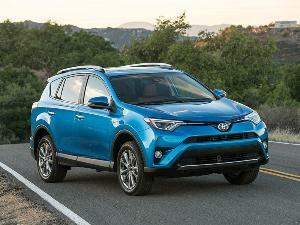 A dual clutch six-speed automatic transmission makes the ride snappier than most in the class. 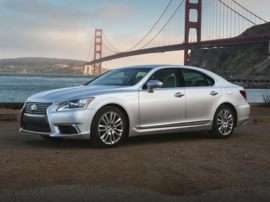 Lexus, Toyota’s luxury arm, is heavily invested in the hybrid movement. 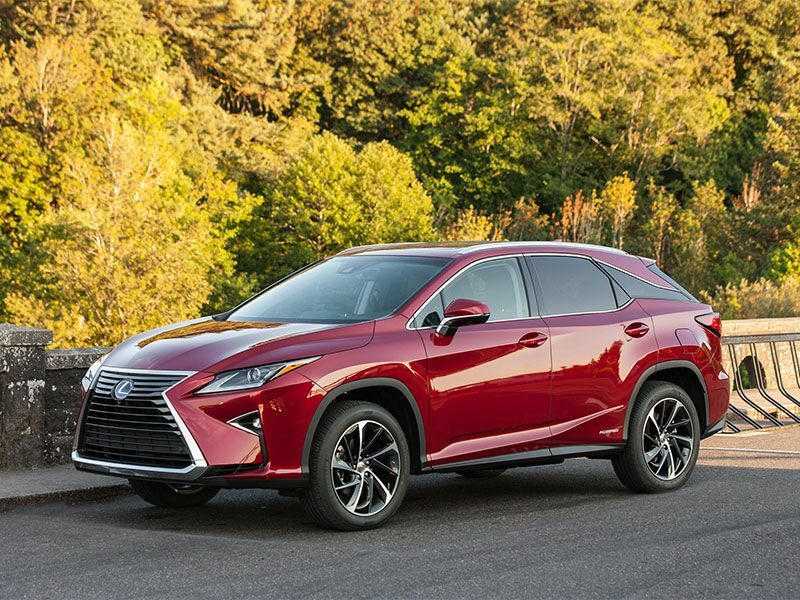 The 2018 Lexus NX 300h is a hybrid compact crossover that represents a step up from the Prius in terms of size, capability, and luxury, while still delivering the hybrid engineering experience that Toyota has gathered over the decades. Starting at $38,335, NX 300h comes with a 2.4-liter gasoline engine, an electric motor system, all-wheel drive and EPA ratings of 33 mpg city/30 mpg highway/31 mpg combined. An electronically controlled continuously variable automatic transmission helps deliver a 0-60 mph time of 9.1 seconds – definitely not fast, but adequate for day-to-day driving. Of all the hybrid models on the list, the NX is the most luxurious, outdoing even the more expensive BMW 330e (and the Prius). If a Prius is more than you need, but you still want to get a Toyota hybrid vehicle, take a look at the 2018 Toyota Prius c, a sub-compact hatchback that has been sold in the US since March 2012. Using a 1.5-liter four-cylinder gasoline engine, and an electric motor in a hybrid system tuned to produce 99 system net hp, Prius c uses older technology sealed Nickel-Metal Hydride (Ni-MH) batteries (as opposed to the Lithium-Ion packs that are more common in newer systems). 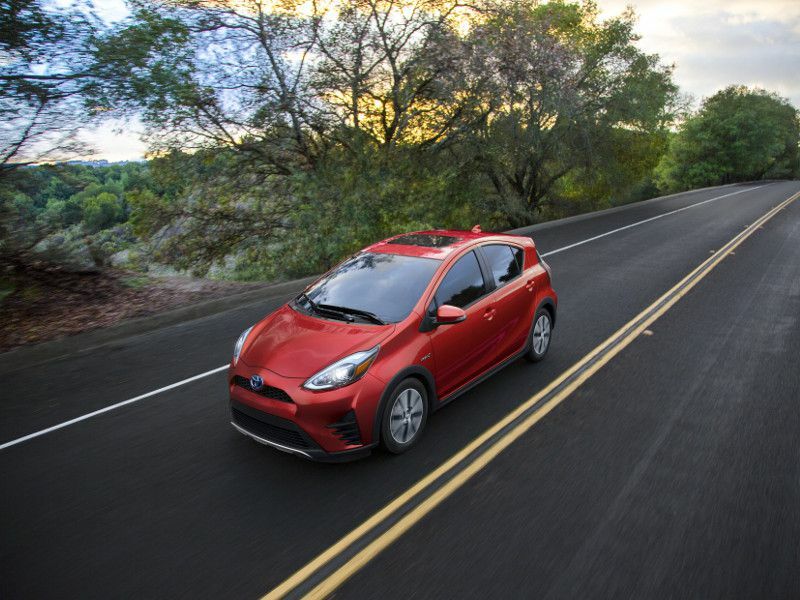 But that old tech is still effective, and Prius c makes the most of it, delivering 48 mpg city/43 mpg highway/46 mpg combined according to the EPA. Base prices for the three Prius c trim levels are $20,630 for One, $21,430 for Two and $22,855 for Three, making the Prius c a bargain alternative.